Les Murray. Murray, Les, photograph by Peter McFarlane. Reproduced by permission. Les Murray is a prominent Australian poet and one of the foremost Australian literary critics. For decades, this author of seventeen volumes of verse, five books of literary essays, and many influential editions has helped shape the Australian literary landscape and has been one of the most authoritative literary voices in national debates on a variety of issues. Meager Beginnings and Early Tragedy. Leslie Allan Murray was born on October 17, 1938, in Nabiac, on the central coast of New South Wales, to Cecil and Miriam (nee Arnall) Murray. Cecil was a struggling dairy farmer whose 150 acres were owned by his domineering father; Miriam had trained as a nurse in Newcastle. Murray was raised in a family home that was little more than a shed with wooden walls, an iron roof, and only three rooms. The boy’s childhood was devoid of luxuries and had few comforts. Although his father was nearly illiterate, Murray learned to read at age four. He was homeschooled by his mother until age nine, when he went to a local rural school at Bulby Brush. He began attending high school in 1951, but his education was disrupted by a great trauma: His mother died in April of that year. Murray’s father suffered a nervous breakdown and ceased to care for the farm, himself, or his son. Murray did not return to school until 1952, then dropped out again after a year; he lived with his slowly recovering father in considerable squalor, spending his days outside or reading on his own. High School Traumas and College Depression. From 1955 through 1956, he attended Taree High School, where he did well academically but felt himself shunned and mocked by his peers. His weightlifter’s build saved him from physical bullying, but he was socially ostracized for two years. He carried these lifelong psychological scars, and some of his most vivid poems feature these experiences. In his last year at high school, Murray wrote his first poems. In 1957, he entered University of Sydney with a Commonwealth Scholarship. There he edited student journals, catching the attention of a group of established poets that included Clive James, Germaine Greer, Robert Hughes, Mungo MacCallum, and Laurie Oakes. Murray disregarded his schoolwork and instead focused on reading the contents of the university’s Fisher Library. As a boy, he had begun studying German in his spare time, and at the University of Sydney, learned several more languages, mastering more than a dozen by age twenty-five. He was also publishing a steady output of quality verse in student publications and became a prominent figure in the literary life of the university. By the end of 1959, however, Murray sank into a depression connected with his mother’s death and his own feelings of isolation. In 1961, he dropped out of college and, living hand-to-mouth, hitchhiked around Australia. He was partially rescued from utter devastation by two events: his return to the university in 1962 and meeting fellow student Valerie Gina Morelli. Murray proposed to her in April 1962, and they were married on September 29, 1962. Lucrative Career and Early Writing Success. While working as a translator of Western European languages with the Australian National University in Canberra, Murray continued writing. In 1965, nearly coinciding with the birth of the first of his five children, he published The Ilex Tree, a book of poetry written jointly with Geoffrey Lehmann. The volume was well received by the critics and won the Grace Leven Prize for poetry. This success brought him in contact with other established poets and the chief publisher of Australian poetry, Angus & Robertson. Changing Jobs. In 1967, Murray resigned from his translation job to move his family to Britain, supported by his first Commonwealth Literary Fellowship. On their return to Sydney in 1968, he took temporary jobs, ranging from a clerkship in the prime minister’s office to a railway laborer job, to support his poetry career. By 1971, he was confident in his ability to earn money from both his writing and Valerie’s teaching to declare himself a fulltime freelance author. From that point, the flow of his poetic publications was copious and rapid. 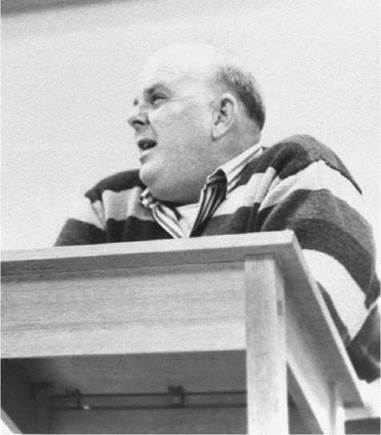 In 1972, Poems Against Economics garnered mixed reviews but confirmed his growing reputation and generated further support: the Commonwealth Literary Fund sent him on a lecture tour of Western Australia. Thereafter, the Literary Fund and its successor, the Literature Board of the Australia Council, supported Murray generously over many years. The establishment of the Literature Board owed something to Murray’s own persuasive writing on the subject of government support for writers; by 1970, Murray was publishing the first of a long series of essays on issues related to publicly funded art. His essays appeared in major newspapers and journals, such as Quadrant, and were eventually published in a five-volume collection. In 1973, Murray took over as director of the journal Poetry Australia—which he continued to edit until 1980. In 1978, he became the sole poetry reader for Angus & Robertson. His editorial work put him at the center of the ‘‘poetry wars’’ that so enlivened the Australian literary scene during the 1970s and 1980s. Aboriginal Culture and the Verse Novel. In 1976, Murray wrote Selected Poems: The Vernacular Republic as well as an extraordinary cycle of poems, ‘‘The Buladelah-Taree Holiday-Song Cycle’’—written as the oldest verbal manifestations of Australian rural culture, Aboriginal oral poetry. The Jindyworobak poets of the 1940s had been mocked for their weak understanding of Aboriginal culture, and Murray took a great risk with this daringly experimental poem: Critics were waiting to accuse him of cultural arrogance, or ignorance, or daring to speak for Aboriginal people. But, his work was triumphant, reinforcing both his powers as a poet and his knowledge as a scholar of Aboriginal culture, and rewarding his refusal to admit the inevitability of cultural apartheid in Australia. Murray’s increasing interest in Aboriginal Australians inspired another kind of work, the truly long narrative poem. Declining to call it an epic, he published The Boys Who Stole the Funeral as a ‘‘verse novel’’ in 1979. In this work, Murray also attended to his notion of what he considered the ‘‘collapse of masculinity’’ by featuring a look at feminism through the figure of Noeline Kampff, a two-dimensional caricature of the feminists he met, mainly on university campuses, in the late 1970s. By creating Kampff, Murray offered himself as a target for feminists: For years, he was hounded on campuses by demonstrators who disrupted his talks, displayed posters attacking him, wrote obscene comments in lipstick in the staff toilet, and sent him anonymous envelopes of excrement. By contrast, the reviews for The Boys Who Stole the Funeral were mostly respectful; and when the work was published in Great Britain and America, it received enthusiastic welcome. The book also won Murray the Grace Leven Prize in 1980. In 1982 and onward, Murray’s verse was routinely published overseas following its Australian appearances and to much acclaim. By 1985, he had won numerous awards for his poetry, including the 1984 National Book Council Prize and the Australian Literature Society Gold Medal. He also established his status as a critic in his own right, publishing several volumes of collected essays. In 1985, he made a bold statement about his connection to the bush by moving from the Chatswood home in Sydney where he had stayed since 1971 to Forty Acres, land he had bought in his ancestral valley near Bunyah. There, he built a small house within sight of the spot on which he had been raised. Reawakened Distress and Supreme Success. After a party in 1988, where Murray met a woman who had been one of his teenaged persecutors at Taree High School, he was reminded of the dark days following his mother’s death and fell into a deep depression: This time what he called ‘‘the black dog’’ hung on for years. His position as poetry reader for Angus & Robertson came to an end in 1990, partly because of this psychological stress. But, even as he descended into familiar depression, Murray continued to write, publish to great acclaim, and earn numerous esteemed honors and awards, including the 1993 New South Wales Premier Prize. His depression culminated in July 1996, when he was rushed to a hospital in Newcastle with a liver abscess from which he nearly died. After many days in a coma he regained consciousness to find a mountain of sympathetic mail and the depression gone. Murray’s next volume, Subhuman Redneck Poems (1996), became a hit, selling more than ten thousand copies in Australia. The work was also a great critical success; and, it won Murray the premier British poetry award, the T. S. Eliot Prize. The work was such a sensation that television news helicopters thwacked the skies above Forty Acres and floated down into the paddocks around the little weatherboard house as journalists competed for interviews. In 1998, the epic narrative poem Fredy Neptune, which Murray had been writing since 1991, was published in sections and was recognized immediately as one of his greatest achievements. Les Murray continues to write, travel, give readings, and lecture. His reputation still grows both nationally and internationally, and his name has been both honored and recommended for such esteemed spots as chair of poetry at Oxford and Poet Laureate of Britain. Sawako Ariyoshi (1931-1984): Ariyoshi was a prolific Japanese novelist whose works concerned significant social issues such as environmental pollution and treatment of the elderly. Graham Chapman (1941-1989): Chapman was a core member of the English comedy troupe Monty Python. Elgar Howarth (1935-): Howarth is a world-renowned English conductor, composer, and former trumpet player. Wilma Rudolph (1940-1994): A 1960 Olympian, she became the first American woman to win three gold medals (in track and field) in a single Olympic season. John Updike (1932-): An award-winning novelist, essayist, and literary critic, he is often appreciated for his in-depth chronicling of American psychological, social, and political cultures. Another Country (1962), a novel by James Baldwin. In this modern work, the author explores the Greenwich Village, New York, life, including the damages of racism and the consequences of hedonism. Death of a Naturalist (1966), a poetry collection by Seamus Heaney. In this volume, the poet reflects on childhood, identity, and the settings of rural Ireland. Hunger of Memory (2004), an autobiography by Richard Rodriguez. In this nonfiction work, the author revisits his experiences as a Mexican American. Nectar in a Sieve (1955), a novel by Kamala Markandaya. In this award-winning novel, the author presents an indepth look at the culture clashes between urban and rural Indians. While Murray’s themes are typically provincial, his keen perceptions and creative use of language have attracted a wide audience. The Boys Who Stole the Funeral (1980), for example, is an experimental narrative which takes the form of a sonnet. Focused on the theme of maturation or emphasizing the natural world, Murray’s poetry is distinguished by its wit and verbal ease and has been praised for its efforts to establish a uniquely Australian viewpoint. By the time of the publication of Poems Against Economics (1972), with two volumes already behind him, Murray had been typecast, both by his supporters and by critics: He was the poet of the countryside in subject matter and a conservative in style—straightforward and accessible. 1. Some of Murray’s most vivid poems focus on his experience of group cruelty at Taree High School— among them ‘‘A Torturer’s Apprenticeship’’ (published in Dog Fox Field, 1990) and ‘‘Burning Want’’ (published in Subhuman Redneck Poems, 1993). After a close reading of one or more of these poems, write your own poem about a high school experience that has influenced you. Include dialogue, descriptions, or unique feelings. Consider how this experience has shaped who you are today. 2. In a group effort, research the 1950s in Australia. What did the period offer to the teens of that time? What trends characterized their recreation, social habits and values, and likes and dislikes? Does Murray reflect any of this in his poetry? If so, what does his referencing say about his attitude toward the popular culture of his teen years? If not, what does he use instead: What is important to him in his early poetry? 3. Using resources from the Internet or your library, investigate Australia—its history, geography, culture, and people. Then, read two or three poems by Murray. Write an essay about how Murray’s poetry reflects Australia. For example, how does the country contribute to the imagery? Does this imagery help to characterize the people? How does the use of Australia contribute to Murray’s themes? How much more does a reader know about Australia after reading a Murray poem or work? Alexander, Peter F. Les Murray: A Life in Progress. Melbourne, Australia: Oxford University Press, 2000. ‘‘Les(lie) A(llan) Murray (1938-).’’ Contemporary Literary Criticism. Edited by Daniel G. Marowski. Vol. 40. Detroit: Gale Research, 1986, pp. 333-44. Murray, Les. A Working Forest: Selected Prose. Potts Point, Australia: Duffy & Snellgrove, 1997. Chiasson, Dan. ‘‘The Fire Down Below: The Poetry of Les Murray,’’ The New Yorker (June 11, 2007). McCooey, David. ‘‘Les is More,’’ Review of Poems the Size of Photographs, The Age (March 18, 2002). Mobilio, Albert. ‘‘Down Home Down Under,’’ Review of Learning Human, New York Times (March 12, 2000). Porter, Peter. ‘‘The Enemy Within,’’ Review of New Collected Poems, The Guardian (March 15, 2003). Murray, Les. Les Murray Official Website. Retrieved June 4, 2008, from http://www.lesmurray.org/. Poets.org. Les Murray. Retrieved June 4, 2008, from http://www.poets.org/poet.php/prmPID/226. Poet Shop. Les Murray, ‘‘True Yarn.’’ Retrieved June 4, 2008, from http://www.poetenladen.de/les-murray-lyrik.htm.